I’M sure that like me, you too are at a loss on how we can still make merry during the holiday season with what just happened in Cagayan de Oro, Iligan City and other areas struck by Typhoon Sendong’s fury. It is a common feeling especially among survivors, that sense of guilt over why we are alive or doing well while our neighbors, the victims, are not. And we wonder why this tragedy happened so close to Christmas, as if it will hurt less if it occurred any other time of the year. What I do know is that because of this tragedy, we are now better attuned to what the yuletide season is really all about. It’s about sharing and giving, not just among friends and family, but also with complete strangers. We help them not because they can help us back, but because they are hurting from the loss of their homes and their loved ones. This time of the year, it’s usually about how big a gift one can give, or how much we’d like to impress a boss, or a lover with our presents. But in the case of Sendong’s victims, any donation, large or small, will be much appreciated. These are gifts that will truly mean something and make a difference in a person’s life. With everyone helping out, we can make the victims of Sendong less cold, less hungry this Christmas. Please keep those donations rolling. And if you haven’t done it yet, please give now. Check out the Internet for the different organizations that are assisting in the relief effort, such as Department of Social Welfare and Development and the Red Cross. Thank you. FOR my annual Christmas forum, I asked a number of leaders in government and politics, business executives, artists and food enthusiasts what their fantasy Noche Buena feast would be. Most of them were actually quite happy with their usual midnight spread, although a few did unleash their creativity and came up with an eye-popping, lip-smacking sumptuous array of dishes. To everyone, Merry Christmas and Happy New Year. Peace, love, and prosperity to you all. And thank you for your continued patronage of this column. Ramon Jimenez Jr., Tourism secretary—The centerpiece of my Noche Buena is the Christmas ham that I cook myself, which contains the secret family recipe handed down from my grandparents. It’s more than just a dish. It represents history and tradition which I would like my family to observe for generations to come. When you think about it, that’s actually what Filipino Christmas is all about—family and tradition, two essential ingredients that complete the Noche Buena experience. 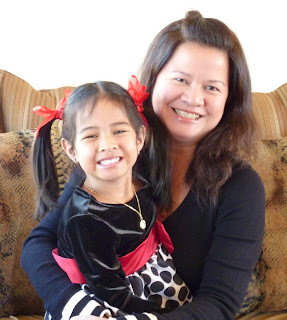 Rosanna Roces, actress—I thought of bubble tea and pizza for Noche Buena, just to have something new on the table. But Pinoy tradition is hard to miss. We always have kaldereta and other Pinoy food. I want to dine on banana leaves. Malu A. Gamboa, general manager, Azuthai, Cirkulo and Milky Way Restaurants—Our Noche Buena menu has been the same for as long as I can remember. Mama (Julie Gamboa) always serves the same family favorites at midnight. First comes a hot cup of chocolate laced with peanut butter that Chu, our yaya of 50 years, whisks to perfection with a very old batidor that has been with the family forever. At the bottom of the cup is newly harvested duman, the eagerly awaited Christmas present from our relatives from Guagua, Pampanga. Duman, toasted green malagkit rice, is a Pampanga delicacy that is only available around Christmastime. Queso de bola (microwaved for five seconds), Majestic ham, Hizon’s ensaymadas and our own Milky Way Macaroni Supreme Salad with bits of Spam, peas and pineapples are always star on our table. We don’t get to enjoy these dishes on regular days, which is why we look forward to celebrating and feasting on these once a year all together as a family. 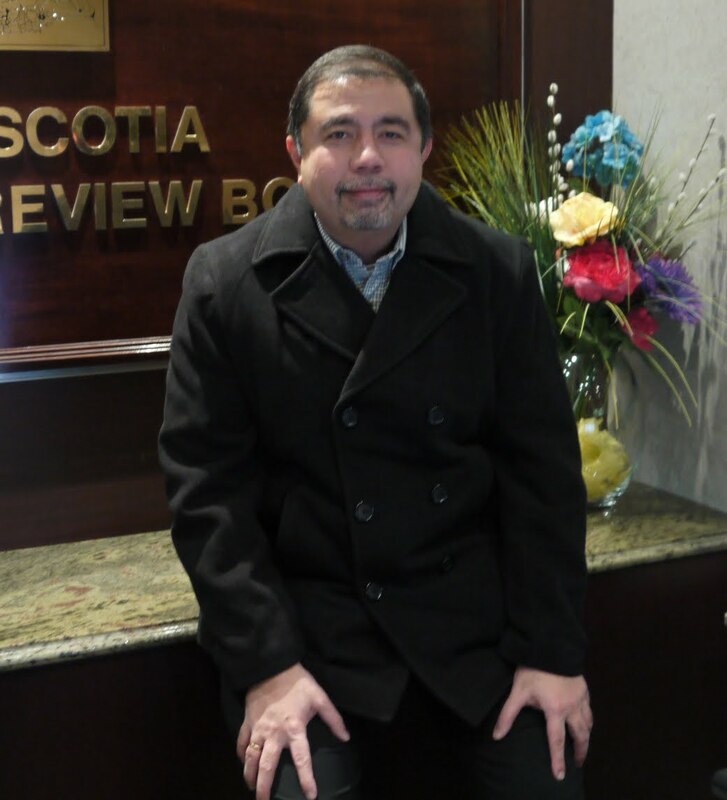 Miguel “Mike” Y. Navarrete, adviser-Nova Scotia Utility and Review Board (former CFO, ABS-CBN Broadcasting Corp.)—For our Noche Buena here in Atlantic, Canada, we enjoy with friends and relatives delicious Atlantic lobsters, Digby scallops, steak, prawns, haddock, eggnog, etc. My wife Gina makes excellent leche flan for dessert. However, we do miss the lechon, queso de bola, bibingka, puto-bumbong, etc. back home. My dream Noche Buena would be to combine the best of what we used to regularly have in the Philippines with what is special here. Lechon stuffed with Atlantic lobsters and Digby scallops enjoyed during a White Christmas, perhaps? Sarap! Leah Castañeda, vice president, Bank of Commerce—Our Christmas Eve celebration ends at dinner, which I will prepare this year, and starts again at lunch on Christmas Day. I’m keeping it simple on Saturday—chicken relleno and a killer lasagna that takes five hours to make. I will prepare a light salad of greens (with arugula), feta cheese, honey roasted walnuts and Parmesan shavings. Dessert will be a rum butter cake baked by my classmate/architect Nina and brewed coffee aero-pressed (hopefully) by my dad. In the off-chance that we get hungry after Midnight Mass and don’t fall asleep while walking home from the church, my mother will prepare a cheese platter (with Marca Piña queso de bola) and Virginia ham from the US, I’ll ask her to prepare authentic tsokolate the way her lola used to make it (with butter and sesame seeds). She also has a bowl of grapes to counter the richness of the cheeses. Let’s not forget the castañas. If I had it my way, every year would be celebrated simply and quietly, but with the family complete at the dinner table.